We’re already one week into the new year and my gym is packed. But I can already see that people are starting to quit their resolutions. I’ve heard that #resolutionfail is trending on Twitter. I said that “I’ve heard” above because one of my goals this month has been to complete a Digital Detox and I haven’t been on Twitter since December 31st. After reading Cal Newport’s Deep Work , I decided that a digital detox was something that just needed to happen in my life. I noticed that even though I tried to carefully use social media it always took more of my time than I wanted it to. I decided to quit cold turkey. But I knew that in order to do it well that I’d have to setup a set of rules that could keep me on track. Sort of like rails for a train. I pulled up Evernote and started brainstorming all the different ways my digital space is cluttered. I looked at social media, YouTube, all the different blog feeds I follow, and even how I use email. The first few days were actually pretty easy. I still had the urge to pull out my phone every time I got bored or had a few minutes, but I could handle it. 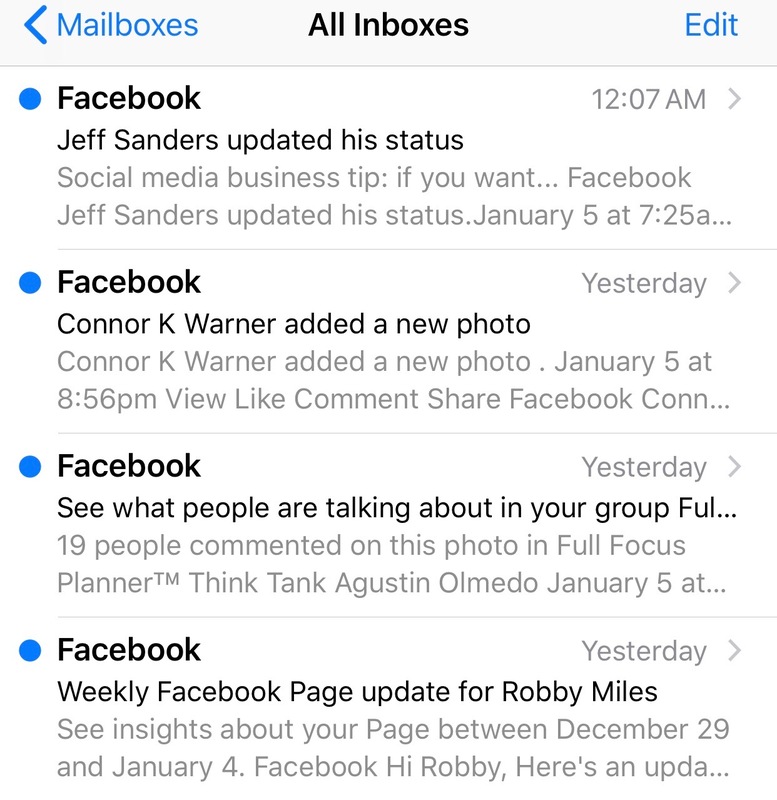 Then, the other day Facebook sent me more than a few emails letting me know what I was missing. My friend announcing that his wife is pregnant. A discussion going on in one of my favorite groups. It became instantly clear that Facebook actually missed me and couldn’t handle something else having attention. I could get along without it, but it couldn’t get along without me. I guess that’s their problem. Not mine. Anyway, I wanted to share the exact template I used to set the guidelines for my digital detox. I’m also challenging you to take a stand on one of your goals here in the first 30 days of the year. Finishing one goal will help give you the momentum to finish the next one. And soon enough you’ll be surprised by what you were able to achieve. Get this Digital Detox Template to clear time and focus on what matters! Awesome! Your template is on the way. Just check your email and click the button to get your Weekly Review Template.